Working with teams to express authentic messages delivered with authority. They are aimed at anybody who speaks to individuals or groups, or makes presentations to colleagues or clients. We deliver our programmes in whatever group size suits your requirements. Our programmes can be customised to fit in with your on-going communication or leadership development programmes. Our programmes are designed and delivered by experts who ‘present’ for a living – our team actively use these skills that we’re coaching our clients on a daily basis – at meetings, conferences and live events. 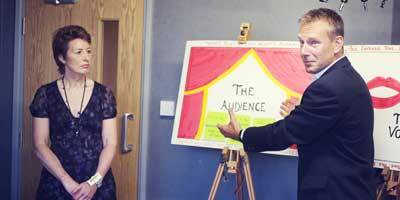 Rehearsing your presentation, speech or conference programme for your live event. We provide ‘on the spot’ coaching and directing if you or a group of speakers would like help in rehearsing your presentation either at your business, organisation or the venue at which you’re holding your event. Coaching that tackles the issues that individuals have about improving performance. This form of coaching enables us to focus solely on you and your particular goals, so the focus and pace are determined by your needs. Would like the focus and pace to be determined by your own goals and needs. Work alone, or wish to undertake this independently. Prefer the flexibility of organising personal coaching sessions around a busy timetable. Have confidential topics to discuss and wish to keep their personal development more private. We will discuss the number of initial sessions you should book, with the flexibility to add sessions in the future. This is particularly popular with senior management clients. We also provide ‘One-To-Two’ coaching, and this is great if you wish to pair up with someone else. We can provide experienced chairs, facilitators and hosts to give your event the edge. They need to create a direct dialogue between leaders and participants, in the form of interviews, discussions and live feedback. Their organisation requires an objective perspective for managing interaction, and where an external point of view adds to the experience. A leadership team require a professional edge to complement the day. A breadth of knowledge and experience from many different sectors can enhance an event. They would like to generate discussion where a specific ‘plan of action’ is the intended outcome of an event. An organisational change or growth has produced the need for clarity and teamwork. 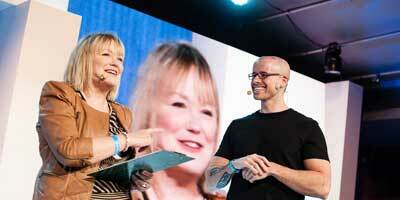 An organisation needs fresh ideas and expertise, in order to produce a successful and engaging live event. An independent presenter is needed to help tackle a complex or controversial subject. They would like an element of fun or entertainment to blend with the business content at a live event.